When I first started getting into more contemporary metal in 2016, I was into a lot of Thy Art Is Murder, Northlane, and In Hearts Wake. After listening to these kinds of bands for a while, I thought to myself ‘Damn, Australia must be a real hub for this stuff.‘ But, me being me, I have to wonder what it must be like to be a local. So I decided to ask up-and-comers Future Corpse about their experiences. Future Corpse began with the fraternity that can be found only in high school. Friends Jarrod and Elliott met around the end of the last year of high school. They got to know each other by discussing the escapades of the Norwegian black metal scene and learning guitar and drums, respectively. I imagine they shared a similar creative spark from the beginning. After high school, Jarrod spent some time at the Box Hill Institute to continue honing his musical skills; that’s where he met Tim. After bonding over bands like The Mars Volta and Mastodon, they put together The First Five EP under the name Heisenberg. But this was in 2013, way before Future Corpse took form. Later, Tim moved on to pursue other interest for a time, while Elliott stepped back into the picture. He and Jarrod recorded some demos and bid there time until Tim eventually returned to join the band again. Together, the trio assumed the name Future Corpse and released their debut album Another World to Consume in 2016. More recently, Future Corpse released their sophomore LP Culture Ruins Everything Around Me this past July. I think they’ve really improved on their sound since Another World. The math-y rage and anti-corporate sentiments of “Monitor Faced” come into focus on tracks like “Trapped in the Echo Chamber”. I also really enjoy tracks like “Ideophobic”, where the groove is consistent even through the time signature changes. Jarrod’s vocals are also key here, as well as on the Protest the Hero-inspired closer “Ornamental Violence”. …or more Europe/Devo covers? I guess we’ll have to wait and see! They still have some shows coming up: on August 31 at The Gollan (Lismore) and September 1 at Fat Louies (Brisbane). 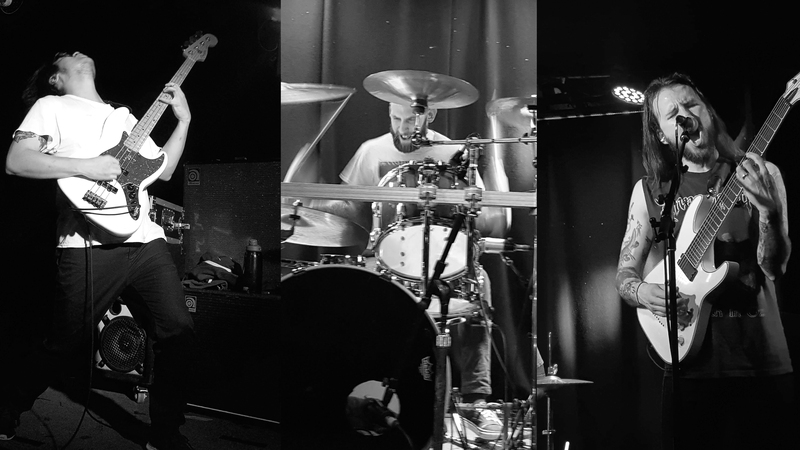 Future Corpse hope to continue touring until they’ve covered the entirety of their native Australia. Afterward, they will set their sights on New Zealand and Japan, and possibly bringing their sound across the globe. Future Corpse are currently wrapping up their tour for Culture Ruins Everything Around Me, so check out their Facebook page for updates, and listen to their albums on Bandcamp and Spotify. Previous PostParius - "The Eldritch Realm"